Find out what the press had to say about Ubisoft’s upcoming hack and slash brawler. Ubisoft has released a short new trailer dedicated to its upcoming action hack and slash title For Honor which was revealed for the first time at E3 2015. Check it out below to see first impressions that many press members had of the game. For Honor is an interestingly unorthodox title from Ubisoft in that it features Dynasty Warriors style units for realistic historic battles but up close and personal combat with opposing players. Teams can eventually come together and include Samurai, Viking warriors and medieval knights on one battlefield. The combat itself is excessively brutal and pulls no punches when it comes to the utterly visceral nature of battle. 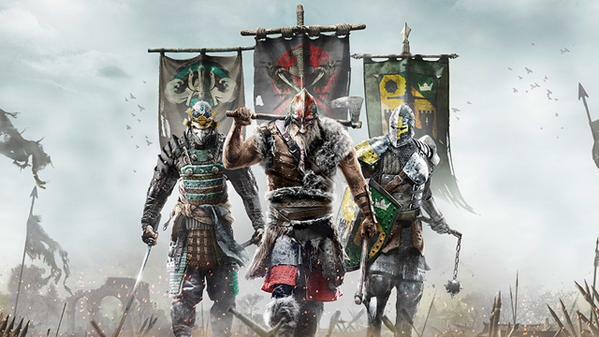 Currently in development for PS4, Xbox One and PC, For Honor is scheduled to release in 2016. Let us know what you think of the game in the comments below and stay tuned for more information on the same in the coming months (perhaps at next month’s Gamescom even).